If my priorities were those of a businessman first (and a physician second), then I would have every incentive to offer quick (1.5 hour) bargain reversals ($3000 or less) under local anesthesia. I do not earn any extra money by doing procedures under general anesthesia, as I work with an independent surgery center and anesthesia group. ‘Bargain’ doctors typically charge around $3000 (procedure fee) for 1.5 hours of operating work time. My procedure fee is $3000 for 2.5 to 3 hours of operating time, and sometimes my reversals take as long as 4 hours on difficult ‘re-do’ procedures requiring vas-to-epididymis connections (with no difference in procedure fees for these longer procedures). If I were to stop using the latest vasectomy reversal techniques that I learned during my fellowship training, and instead began performing quick reversals under local anesthesia, I could easily expand my practice immensely. It would be a marketing coup to not only be an actual Urologist offering a ‘bargain’ reversal, but one of the only 1-2% of urologists who has completed advanced microsurgical fellowship training in vasectomy reversals. Throw in a flashier website along with some marketing gimmicks and I could probably triple my already busy vasectomy reversal practice. As an added bonus, I would still make the same amount of money ($3000) for literally half the work (only 1.5 hours of operating time)! From a purely business standpoint, any financial advisor would tell me that I would be crazy not to make these changes to my practice. Fortunately (for my patients, and my ability to go to sleep guilt-free every night), I am a physician first and foremost, and I know that optimal reversal outcomes require the longer (2.5-3 hour) meticulous techniques under general or spinal anesthesia. In addition to being a physician, I am also a father, and my two children are truly the joys of my life. After experiencing the amazing journey of parenthood firsthand, there is no way that I could offer anything but the best available techniques that I am able to perform for couples who so profoundly wish to welcome a new baby into their family. 1) Is the doctor a urologist? If yes, then at minimum you are assured that the surgeon has had 5-6 years of training in scrotal surgery, and can offer you as safe a procedure as possible. You would not seek out a urologist to treat a fractured arm, so why would you travel to another state to have an orthopedic surgeon perform complex urologic microsurgery? 2) Will the surgery last at least 2.5 hours of actual operating time. This does not include how long you will be at the office or surgery center or in the recovery area, but how long the surgeon will take actually doing the procedure itself. The leading fellowship-trained experts take this long to perform the latest most effective techniques. If your procedure is going to last 1.5 hours then it is highly unlikely that the most advanced and successful surgical techniques are being used. It just does not make logical sense that as precise of surgery can be performed in ½ the time by a surgeon with less training. 3) Does the surgeon ever perform more than one reversal procedure per day? The latest microsurgical reversal techniques are very technically demanding, and after 2.5-3 hours of intense concentration under an operating microscope I typically feel mentally fatigued. My fellowship-trained colleagues using the latest techniques generally report the same thing to me. I always want to feel 'fresh' going into a reversal procedure to give my best effort. I therefore never perform more than one reversal case a day. Reversal doctors who perform more than one reversal a day are either: a) Superhuman b) Using suboptimal less technically demanding techniques, or c) Don't mind operating on patients when fatigued and not at their 'best'. Some surgeons may claim to be in the 'superhuman' category, but the safer bet is to find a specialist who limits himself/herself to no more than one reversal per day. 4) Does your surgeon know how to perform an expert vas-to-epididymis connection if “unfavorable” fluid is found at the time of the reversal? “Unfavorable” fluid can be found at any length of time since a vasectomy was performed. If “unfavorable” fluid is found at the time of a reversal and the surgeon does not know how to perform a vas-to-epididymis connection, then the reversal will almost invariably be unsuccessful on that side. 5) Has the urologist completed a 1-2 year fellowship in male infertility and microsurgery? If you only ask one question, this should be the one, because if you are working with a fellowship-trained microsurgical specialist, the answer to at least three of the four questions listed above will almost invariably be "Yes" [I would still recommend asking if they limit themselves to only one reversal case per day]. Having completed a full 1-2 year fellowship in fertility microsurgery is the only sure sign that the surgeon with whom you are working has devoted the time and energy to receive the intensive training to become a true microsurgical reversal expert. A few surgeons in the country have completed a 'mini-fellowship' of only 6 months, whether by design or deciding to leave their fellowship training early. I am not quite sure what to think about these ''mini-fellowships', but know that I feel that I personally benefited greatly by devoting a full year to learning the latest microsurgical techniques. A website claiming 'fellowship-trained' is not going to say whether it was one of these 'mini-fellowships' or not- you have to ask. I would recommend asking your surgeon whether he completed a FULL ONE TO TWO YEAR MICROSURGERY FELLOWSHIP. Do not be afraid to ask these questions! 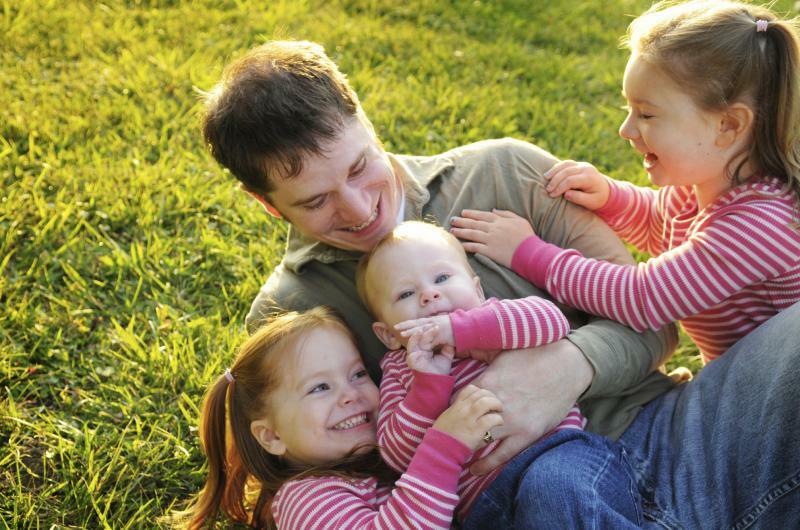 Couples who have decided on proceeding with a vasectomy reversal are often eager to move forward quickly. Low cost reversal practices will often try to exploit this by encouraging couples to quickly lock in a procedure date with a non-refundable deposit. Choosing your reversal surgeon is a very important decision. Most regions of the country have at least one fellowship-trained urologic expert in microsurgery. Invest a little time to fully investigate your options to give you your best chance of fulfilling your family-building dreams. Finding a Fellowship-trained Microsurgical Specialist Offers Your Best Chance at Vasectomy Reversal Success.